The band name doesn't ring a bell? But I guess the names of the involved musicians! Humanimal are singer Jeff Scott Soto, Pontus Norgren on guitar, Marcel Jacob on bass (and rhythm guitar) and on drums Thomas Broman! What to expect musically you might ask... But you might know Talisman, right? Then you know the general direction. It's progressive powerful melodic metal! 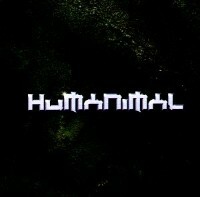 Even if the band names is a little confusing, coz Talisman had 2 albums called Humanimal! Anyway, this is melodic metal in premier league format! Listen to a songs like License To Kill and you got it! Screaming guitars, pounding bass and hammering drums crowned by the unique voice of Mr. Soto, that's what it's about! Especially this track is interesting through the arrangement and the backing vocals. A song which is a little mellower then the previously named one is Find My Way Home, but it offers a great guitar solo and actually it's catchy. Another out­standing track for me is Road 2 4givness! A track which rocks, a heavy track, but with breaks and slower parts, at that parts the sound is dominated by the voice of Jeff Scott Soto. Or listen to Who Do You Think U Are, a catchy mid-tempo one which also has all essentials of the Humanimal sound. Or should I say Talisman sound? Anyway, a more then decent album! To talk about the skills of the different band members would be carrying coals to Manchester! And would you really expect a weak album? No, so they keep their fans satisfied, even if everybody might pick another album as his favourite, when choosing from their releases. But that's a matter of taste!